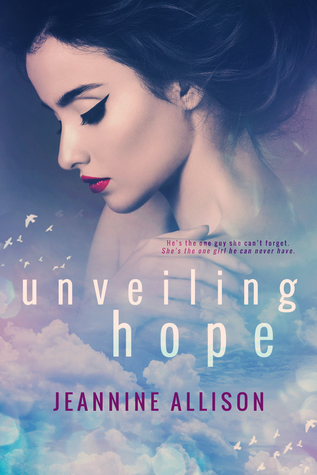 So, I’ve been a Jeannine Allison fan for quite a while now but I have to honestly say this is her best work to date. Sam and Derek stole my heart! This book is technically part of a series but CAN be read as a standalone but if you have kept up with the series you’ll know that this is a slow-burn, friends-to-lovers romance. Sam and Derek have waited so long for their romance and it was absolutely worth the wait!! I really loved both of these characters. Sam is a sweetheart and what might seem like her weaknesses are actually her biggest strengths. I admired her so much. It took her a while to finally stand up for whatshe wanted but once she did, she made no apologies for how she chose to live her life. I loved this book so much and I really don’t want to give too much away!!! It’s definitely my favorite Jeannine Allison novel so far! Novels like this are why I love reading romance. DO NOT miss out on this outstanding read! *PURCHASE Unveiling Hope on Amazon FREE on Kindle Unlimited!! !